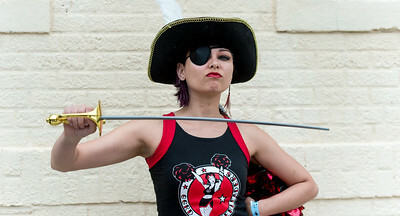 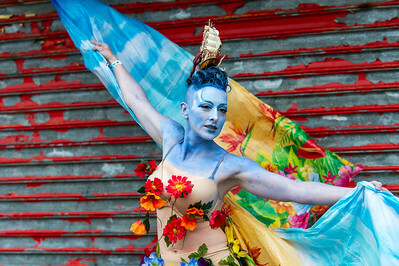 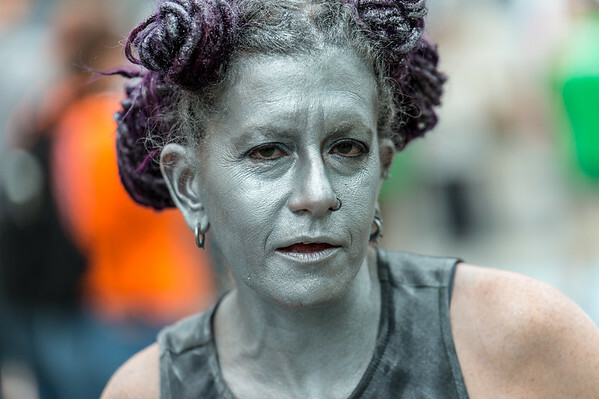 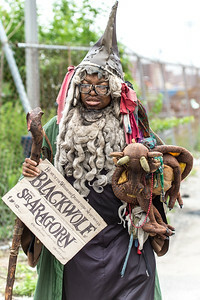 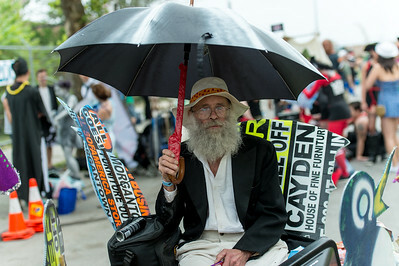 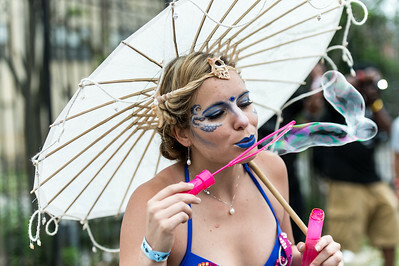 The extravagant and outlandish 2015 Coney Island Mermaid Parade. 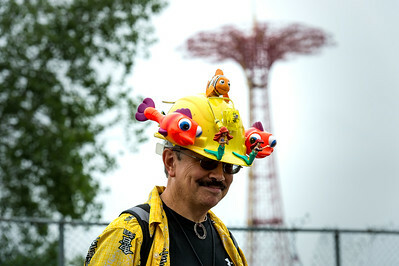 Mermaid reveler with a very elaborated sea treasures outfit. 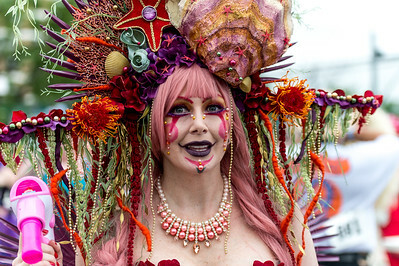 Mermaid reveler with a colorful and somewhat bloody scary outfit. 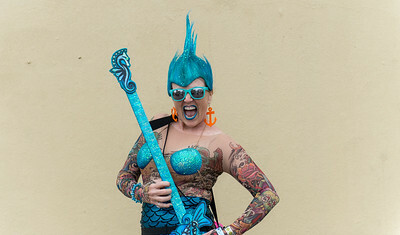 Mermaid reveler with a colorful sea music outfit. 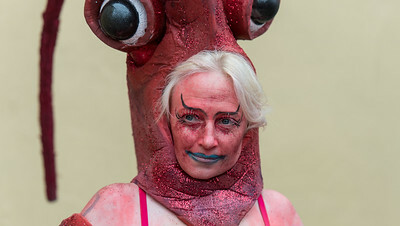 Mermaid reveler with a lobster outfit and her pray. 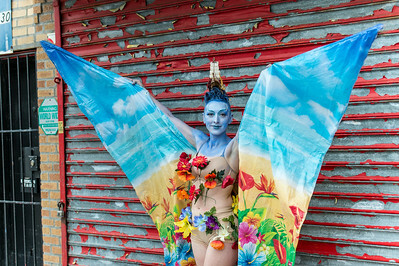 Mermaid reveler with wings and a colorful outfit. 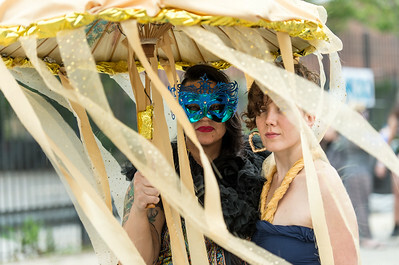 Mermaid reveler with a sea bride themed outfit. 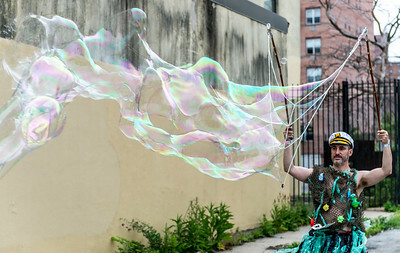 Mermaid reveler with a sea themed outfit. 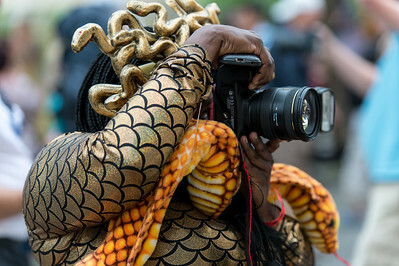 Mermaid reveler photographing with a colorful outfit. 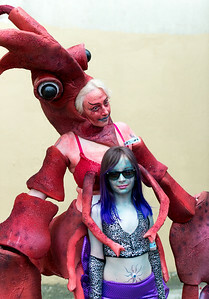 Blu and fun at the parade. 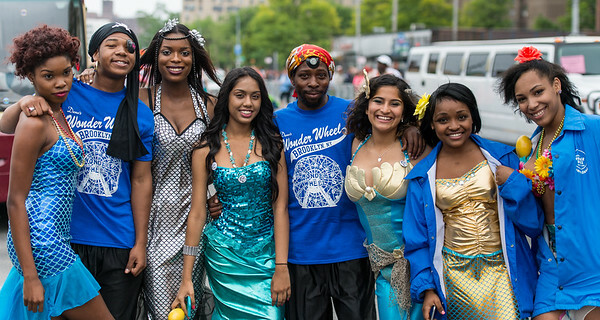 Mermaid revelers with colorful sea outfits. 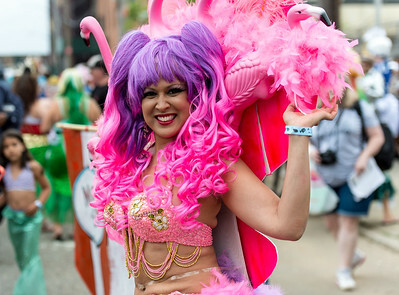 Mermaid revelers with colorful outfits. 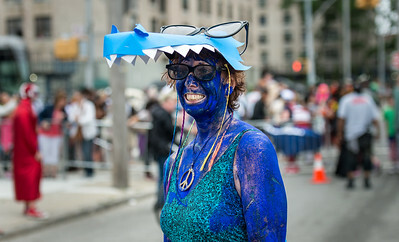 Reveler of the parade with a sea themed makeup. 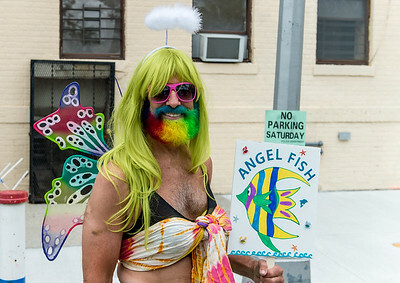 Mermaid reveler with a colorful outfit. 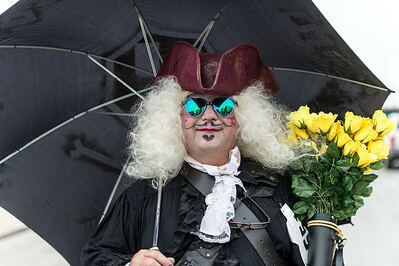 Mermaid reveler with an elaborate 19th century outfit. 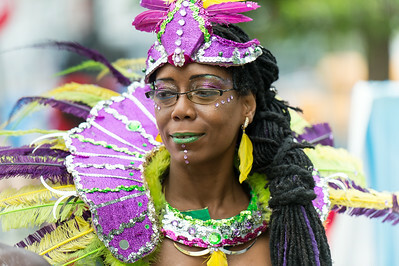 Mermaid reveler with a puzzled look and a colorful outfit. 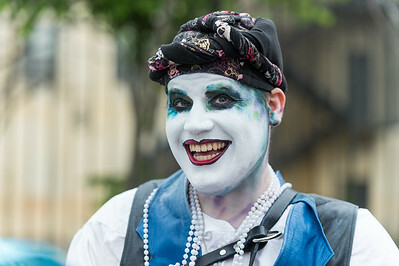 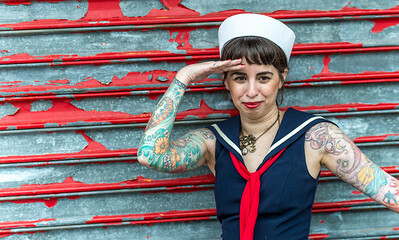 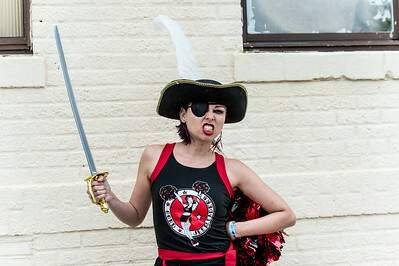 Mermaid reveler with a sailor outfit.